Welcome! New? Please learn more, click here. Already a Member? Log in here. 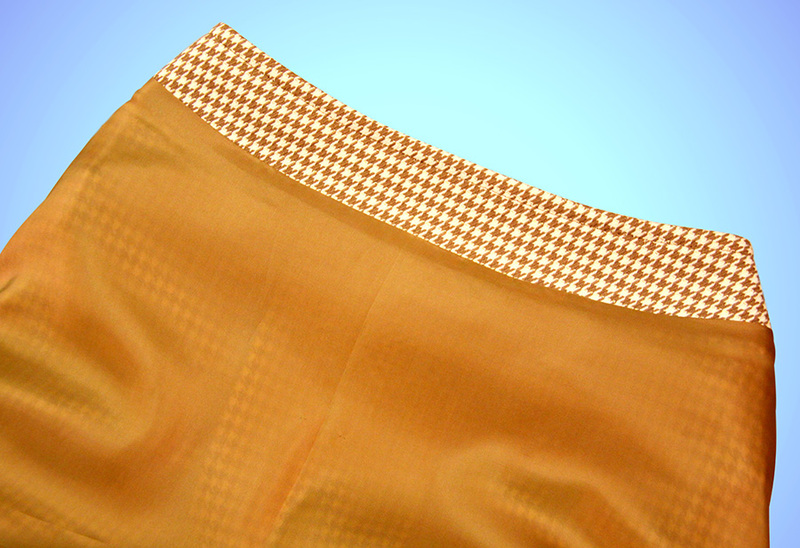 Learn how to sew an A-line skirt with a yoke and box pleat. We will learn how to sew the yoke, top stitch the top and bottom edge of the yoke, insert the invisible zipper, then join the lining to the skirt. We will also sew the button flap, then learn how to sew the lining to the zipper opening, hem the lining and the shell of the skirt and sew a button on the center back. 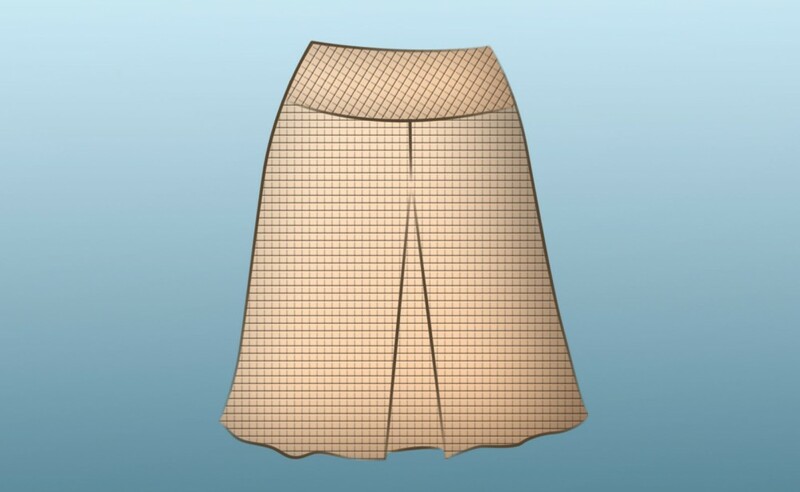 In addition you will learn how to reinforce the waistline of the A-Line skirt by using a twill tape and how to hem a curved hemline for this type of skirt. We will learn how to form the center front box pleat on the skirt, how to pin and baste the center back and side seams on the shell and line up the plaid lines at the seams as well. Then we will learn how to pin and baste the yoke to the skirt and the facing to the top of the skirt. We will also do the first fitting, finish the raw edges of the skirt shell, then sew the lining and press open the finished seams of our A-line skirt. Being released in January - We will finish sewing the A-Line Skirt. We will learn how to draft the button flap pattern, cut out our pattern pieces and square and press our shell and lining fabric. Then we will pin the pattern pieces to our shell and lining and cut out the fabric pieces. We will also fuse interfacing to the yoke, facing and button flap pieces and clip notches to mark the seam lines on our fabric pieces. 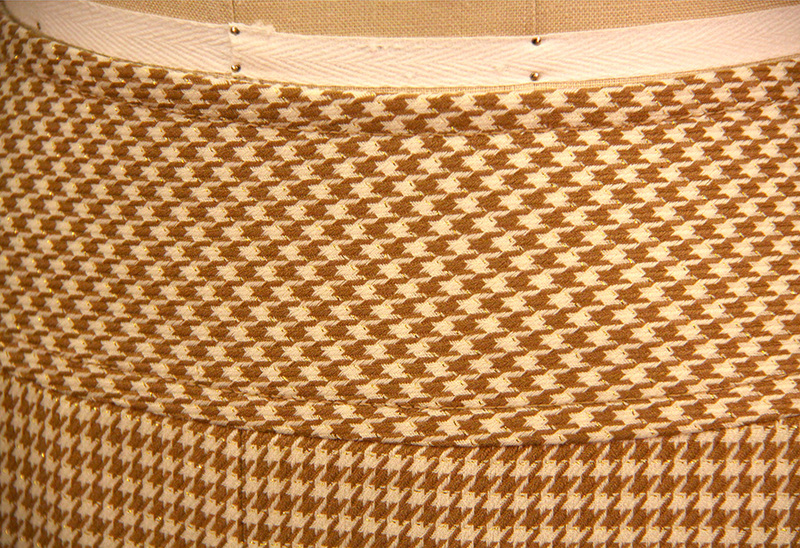 In addition we will learn how to cut plaid fabric to get a symmetry on both sides of the skirt. 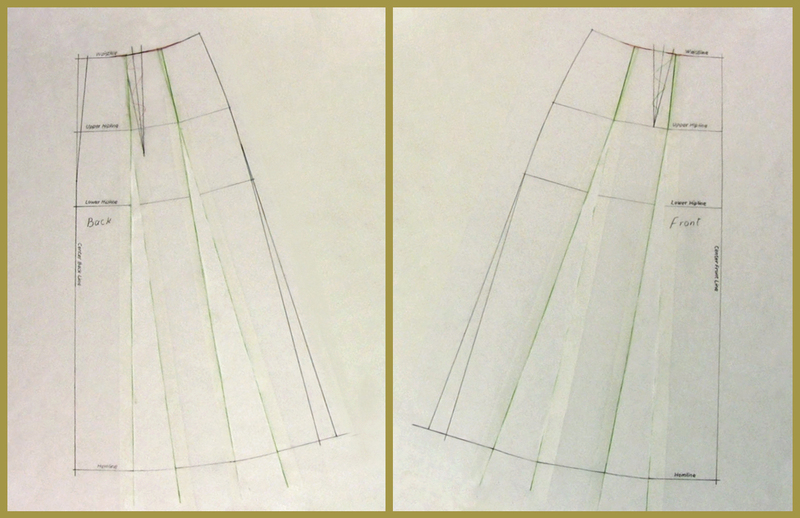 If you have a ready made skirt block pattern, you can convert it into an A-line skirt pattern by watching the A-line skirt drafting video lesson, then follow along with this video lesson. 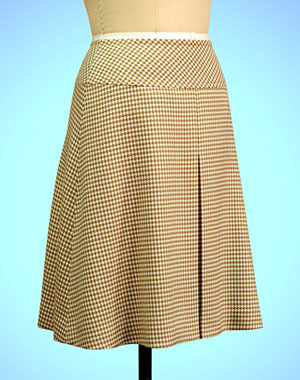 (Coming in November) we will sew our A-line skirt. In this lesson you will learn how to style the A-line skirt pattern with no waist darts and extra flair we drafted in the A-line skirt drafting video lesson. 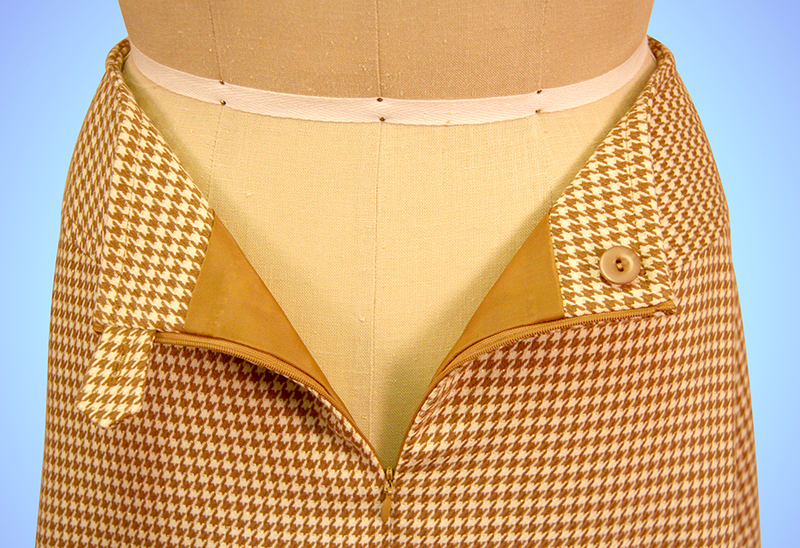 We will style a copy of this pattern for an invisible zipper, yoke and a center front box pleat. Then add the seam allowances, copy the front and back skirt patterns for the lining and facing and separate the yoke and facing pattern pieces. Then mark the fold lines, lengthwise grain lines and the notch and tailor tack marks on the pattern pieces. 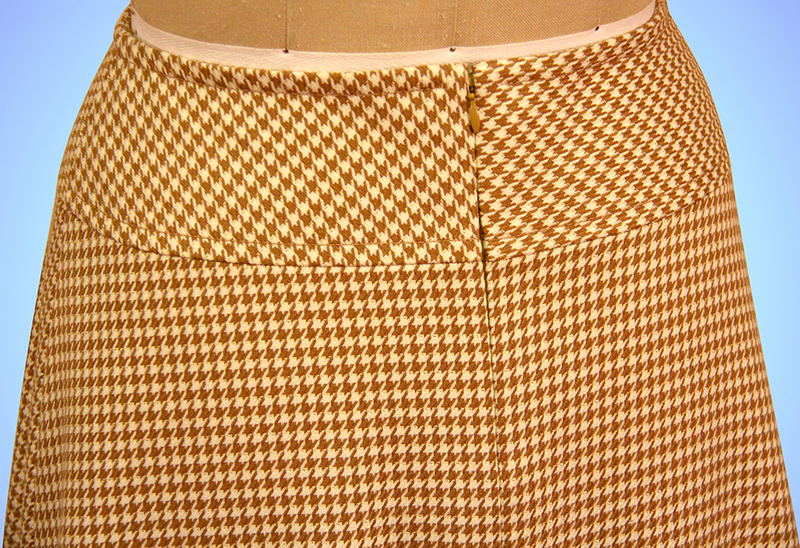 If you have a ready made skirt block pattern, you can convert it into an A-line skirt pattern then follow along with this video lesson as well. 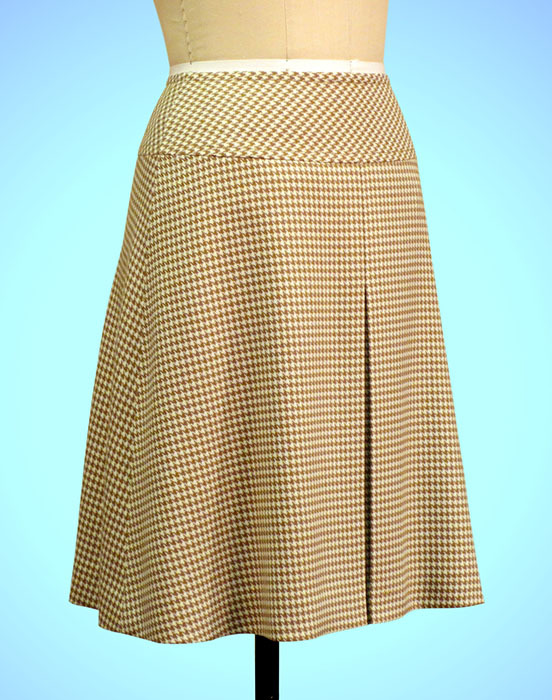 Learn how to draft a basic A-Line Skirt Pattern, including two variations, one with narrow waist darts, one with flare, and another without waist darts and extra flare. In this lesson we use the straight skirt block pattern with one waist dart that we drafted previously in the Skirt Block Pattern Making Video Lesson. 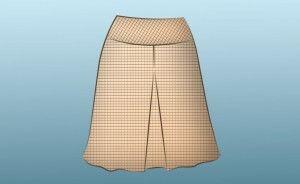 If you have purchased a ready made skirt block pattern, you can follow along with this lesson as well.